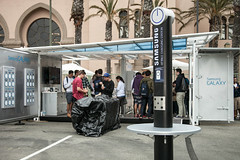 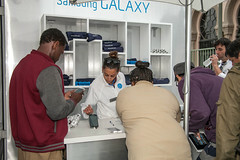 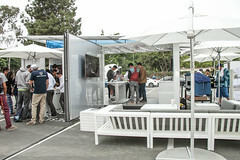 For the second time in a year, Boxman Studios, in partnership with experiential agency Javelin, hit the road with Samsung to promote the launch of a new product. 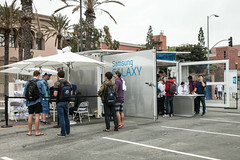 This time for their Galaxy S4 smartphone. 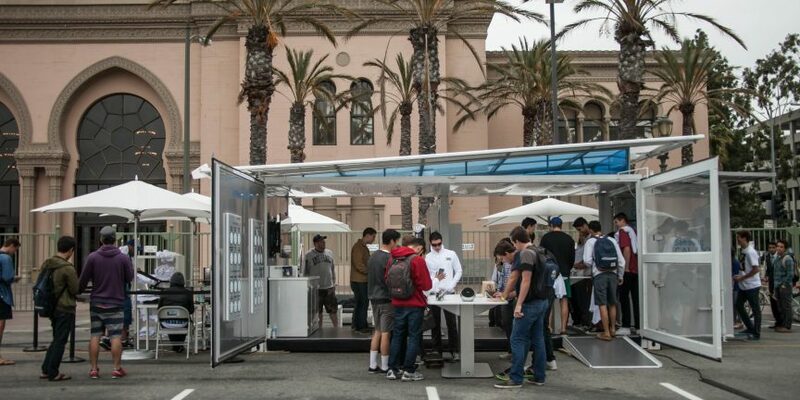 The tour consisted of two fully-customized 20 foot shipping containers that visited universities in the midwest and west coasts concurrently. 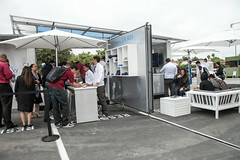 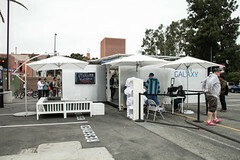 Utilizing ourCabana design with its vertical display walls, the sleek units featured a custom roof structure, brushed aluminum finishes, and electrical capability throughout Students flocked to the space to interact with Samsung products, get free swag, and experience first-hand how cool repurposed shipping containers are.